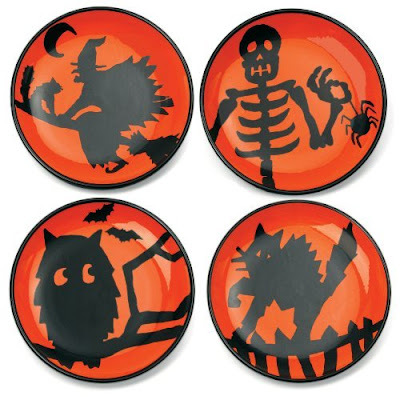 I'm tempted to utilize some of these Halloween dishes in October to spook up my dining table a little bit. 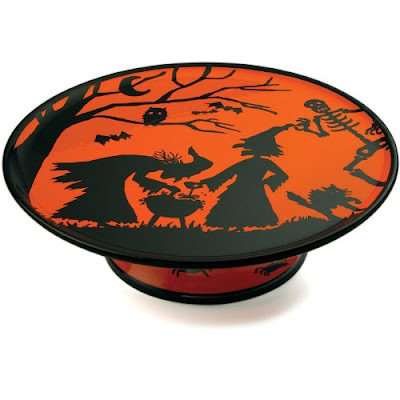 These dishes are pretty small - a better size for salad or bite size appetizers. 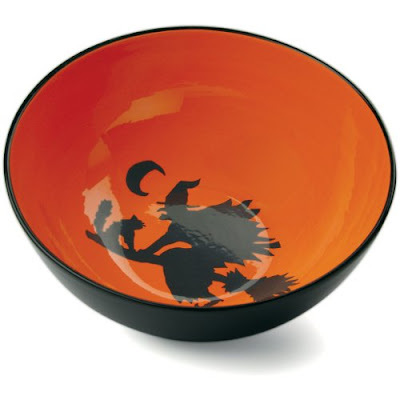 I'd use this treat bowl for popcorn or to store Halloween candy by my front door. 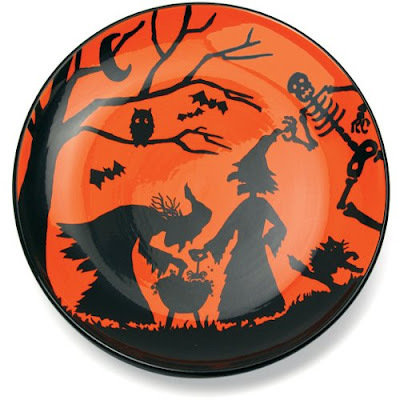 I'd like to put three different kinds/colors of candy corn in this candy dish for visual impact. 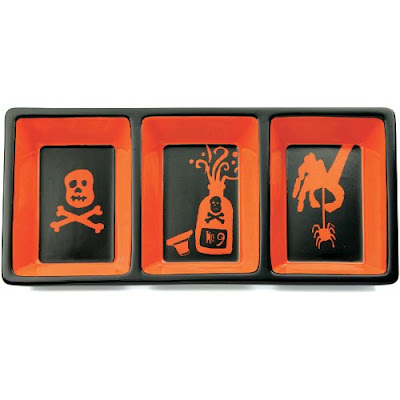 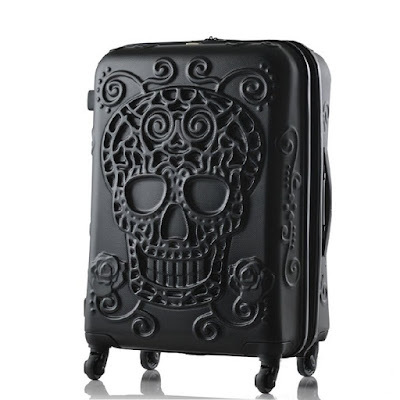 This platter would work for serving so many ghoulish treats! 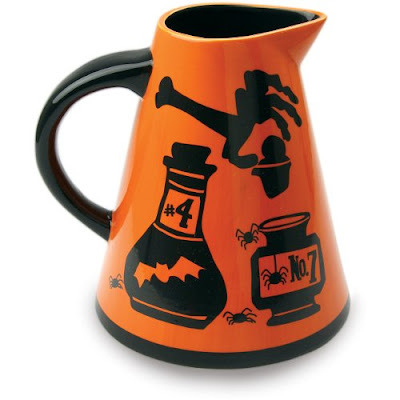 I'd be tempted to use food coloring in order to serve orange milk from this pitcher. 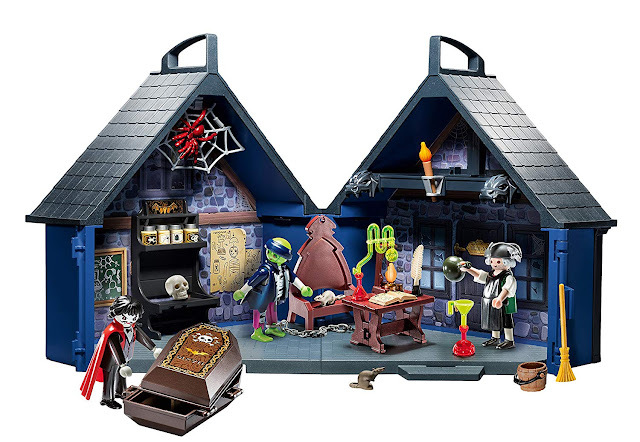 Use this server to display your Halloween cake.